Residents with the average home assessment of $237,700 would see an $42.79 increase for their K-8 school taxes. The Mt. Laurel Schools Board of Education held a brief meeting this week to adopt the tentative 2017–2018 school year budget for submission to the executive county superintendent. The meeting was originally scheduled to take place on March 14, but officials were forced to move the meeting due to inclement weather. Appropriations for the tentative budget total $74.1 million, with the average Mt. Laurel homeowner with a property assessed at $237,700 set to see an increase of $42.79 next year for their K-8 school tax bill. The overall tax levy increase is 1.69 percent, below the maximum increase limit of 2 percent allowable by the state. The increase is also the lowest overall tax levy increase Mt. Laurel Schools have used in the past five years, with overall tax levy increases in those previous budgets ranging from a 1.85 percent increase to the maximum 2 percent increase. State aid figures remain nearly unchanged from the prior year’s budget, with just a $1 increase from $4,433,463 to $4,433,464. Superintendent George Rafferty said district officials were pleased with the budget and described it as “good news” for students and staff, as it allows the district to continue moving forward with several initiatives that are already underway. 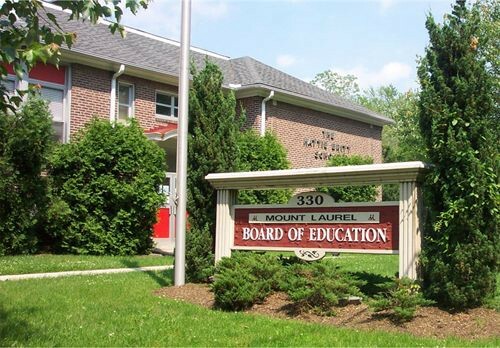 Rafferty said one “big” budgetary item in the area of curriculum would be purchasing the materials needed to implement the Next Generation Science Standards for grades kindergarten through five. The new standards, which are mandated by the state, we’re previously implemented in grades six through eight. In addition, Rafferty said the budget would allow the district to continue with the Math Investigations curriculum for several grade levels, literacy intervention kits, materials for the Journeys literacy program and student and teacher assessment programs. For technology, budget items include additional Google Chromebook laptops and carts, as well as projectors for classrooms. Capital improvements for the 2017–2018 budget include additional security cameras at Hartford School, carpet to tile replacement for Springville Elementary and Hartford, a HVAC control upgrade for Springville, phase four of the exterior lighting project at Springville, two HVAC rooftop units at Hartford, phase two of the Parkway Elementary classroom case and closet work, clock replacement at Parkway and the replacement of exterior doors at Fleetwood Elementary. The budget calls for the replacement of three school buses, which include two 54-passenger buses and one 25-passenger wagon, as well as a live GPS and camera system for buses that will allow the district to track buses as they travel. The public hearing and final adoption for the budget is scheduled to take place at the board’s meeting on April 25.